Greetings,it's me Jerry Butler,... I would LOVE to invite you to come listen to me on blogtalkradio!! Simply go to BLACKSTARTUPBIZ.COM, log on so that you can click on the blogtalk radio link to listen to my show. 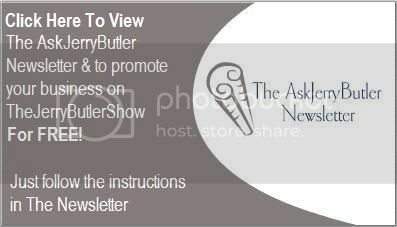 The link to the show is http://www.blogtalkradio.com/JERRY-BUTLER7 The call in number is (646) 929 0434. I will be on LIVE Friday 6-12-09 from 6-8 pm Eastern Standard Time. The topic is: "FeaturingMr. Benjamin And The Soulful Sounds Of His Newly Released CD "Da New Life Fase 1...and A Journey Threw Tru Relationships"!! !...BY the way, this is a radio show that will help "you" promote your business nationally & worldwide and it is absolutely free!!! If you have a business, you NEED this added exposure, join me at Blackstartupbiz.com & advertise your business over the airwaves absolutely FREE!!! Tell all your friends to listen in and forward this message to all of YOUR friends. Let's help one another gain worldwide exposure together!!! OUR GOAL is to INSPIRE PEOPLE of EVERY Race,Creed and Color to be THE VERY BEST THEY CAN BE!!! !